(formed from the merger of Toa Airways and JDA) (JD/TDA) 1971 - 1988 (Tokyo-Haneda) (became JAS - Japan Air System). Photos. Framable Color Prints and Posters. Digital Sharp Images. Aviation Gifts. Slide Shows. 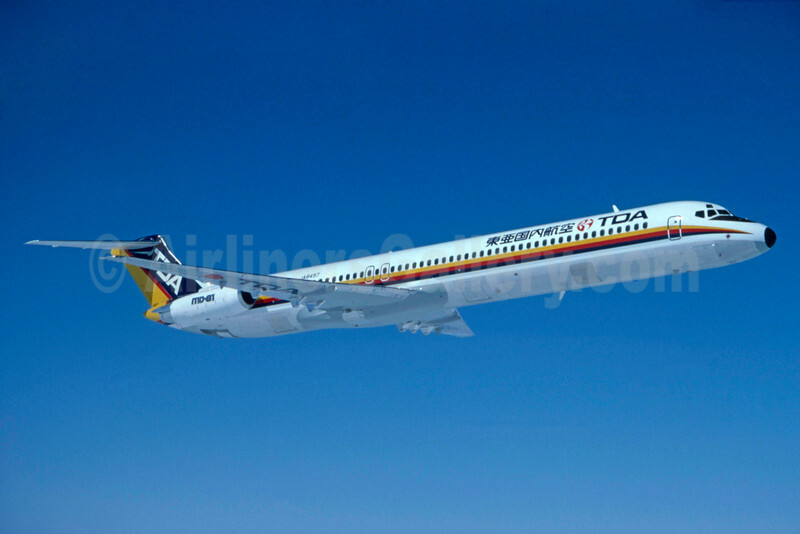 TDA (Toa Domestic Airlines) McDonnell Douglas DC-9-81 (MD-81) JA8497 (msn 49281) (Stephen Tornblom Collection). Image: 933196.